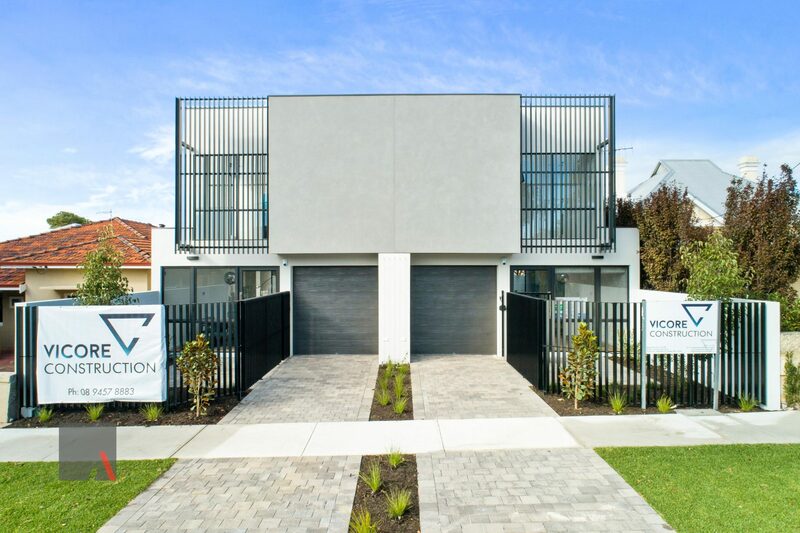 Here at Vicore Construction we have the opportunity to build some truly architecturally stunning homes. 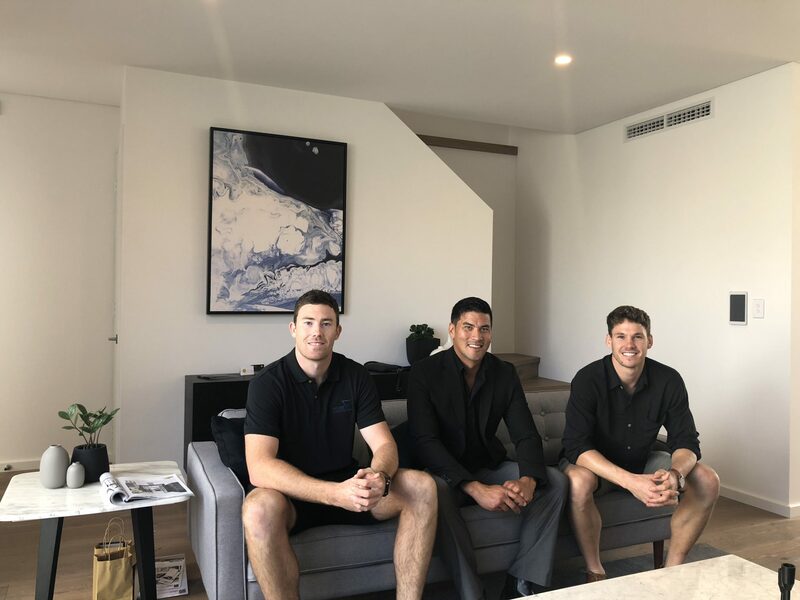 This was the case with West Coast Eagles player, Jack Redden’s North Perth twin townhouses. Jack’s choice to go with Vicore Construction occurred after a conversation with our Sales Director and fellow Eagles player, Jeremy McGovern. The respect and dedication that Jeremy has towards football immediately translates to his role within the company and this made Vicore Construction the stand out choice for the North Perth build. Jack said that there was a sense of the unknown when beginning the process, as he hadn’t previously built properties like this before. “The team directed me and showed me step by step how it all works which made this an easy process,” he said. Our team is incredibly hands on, with Daniel Jumeau, the Managing Director, constantly visiting building sites to keep an eye on the project for the clients. Constantly appearing on site made the building process an absolute dream, which Jack says was smashed out within 7-8 months. “The whole process was pretty effortless, Dan gave all the advice I needed, and no real variations appeared along the way,” he said. During the building process we aim to keep communication free flowing between building and owner. This is key to building a successful relationship and ensuring that both parties remain in the know throughout the process. Jack stated that the communication from the Vicore Construction team during the building process was great. “Daniel was also really great, he was on site every day and it gave us confidence that we had made the right choice,” Jack said. 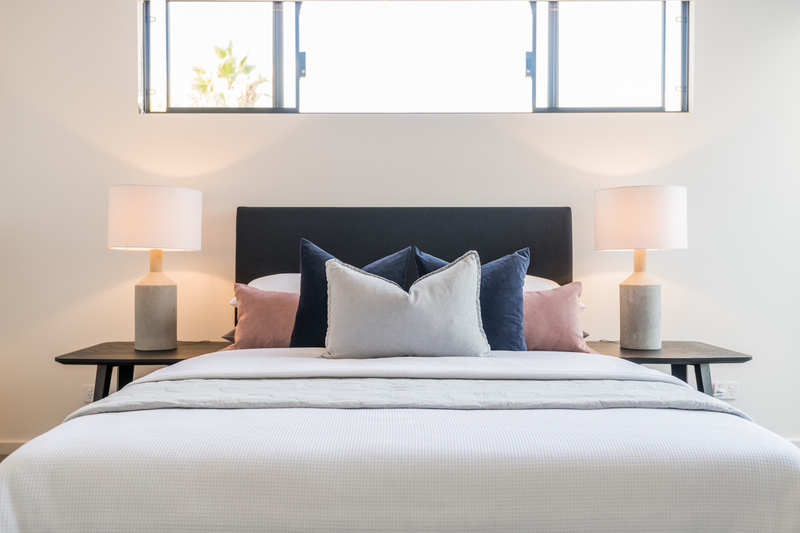 The completed homes that were produced showed off true modern style, that displayed a unique difference amongst current homes on the market. Jack states that the homes were set to be investment properties, so the point of difference was important. 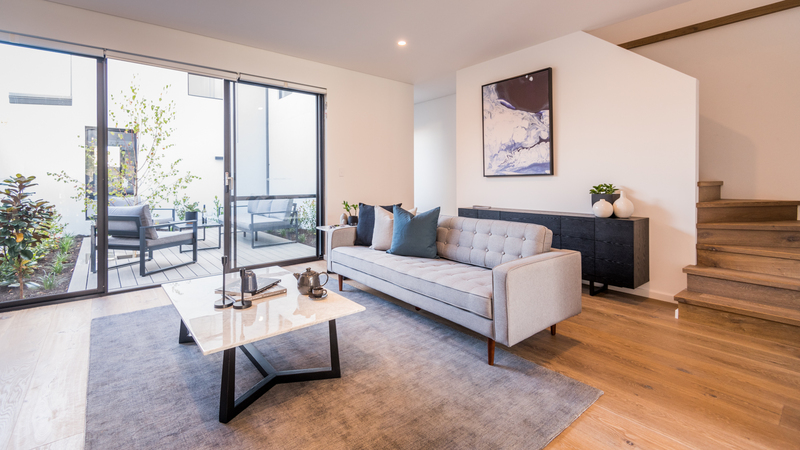 “The market we were aiming for was more high-end, so we wanted some really high-quality finishes that were delivered, and we also learnt a lot about the types of finishes that are available for the future,” he said. The townhouses were designed by Lisa Halton Studio, who created a unique design that fit in perfectly within the North Perth area. Combing this uniqueness with high quality finishes, Jack states that the home really meets the needs of those looking for high end homes. 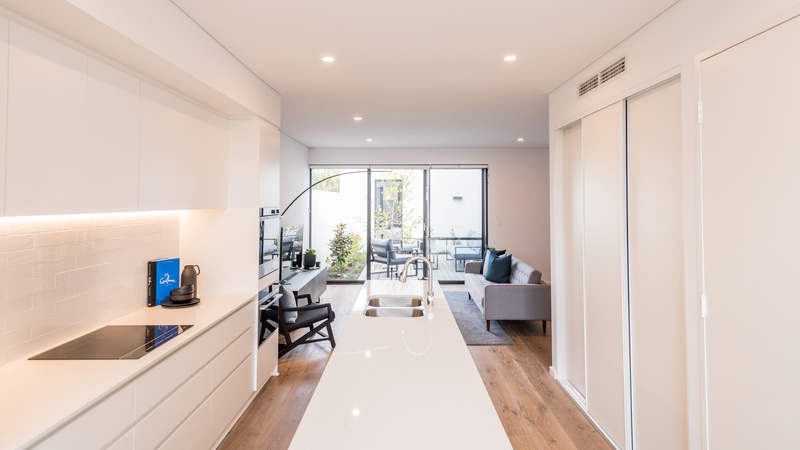 To further the point of difference, the townhouses were constructed with lightweight materials including MasterWall which is one of our greatest strengths being the leaders in lightweight construction within Perth. Lightweight materials are something that isn’t as commonly used in WA with many homes being traditionally built with brick. However, the lightweight method will help the modern home stand the test of time, with Jack adding that lightweight is just as sufficient as a building method. “It’s just about getting your head around the lightweight process, it just ticks all the boxes,” he said. Finally, we asked Jack exactly if he thought the final products met or exceeded expectations. “You hear a lot of stuff about building and how it can get, but it was really smooth with no complaints throughout the whole build. It simply exceeded our expectations,”. Very nice post. I simply stumbled upon your weblog and wanted to mention that I’ve really enjoyed surfing around your weblog posts. from this site, and your views are nice in support of new people. visitors for building up new web site or even a weblog from start to end. If some one needs expert view regarding blogging after that i recommend him/her to pay a quick visit this blog, Keep up the good work. recommend a good hosting provider at a honest price? Thanks, I appreciate it! Thank you for sharing your thoughts. I really appreciate your efforts and I am waiting for your next post thanks once again. – Vicore Construction <Liked it! Wonderful, what a weblog it is! This weblog gives valuable facts to us, keep it up. I am slightly sure I will be told many new stuff right right here! After I originally commented I seem to have clicked the -Notify me when new comments are added- checkbox and from now on each time a comment is added I recieve four emails with the exact same comment. Is there a means you are able to remove me from that service? Cheers! Oh my goodness! Impressive article dude! Thank you so much, However I am having issues with your RSS. I don’t understand why I can’t subscribe to it. Is there anyone else having the same RSS issues? clever work and reporting! Keep up the excellent works guys I’ve added you guys to our blogroll. a information! existing here at this web site, thanks admin of this web page. The clarity in your publish is simply excellent and that i can assume you are knowledgeable in this subject. Fine with your permission let me to clutch your RSS feed to keep up to date with imminent post. What’s up, just wanted to say, I enjoyed this blog post. It was practical. Thanks for finally writing about >Jack Reddens Investment Project – Vicore Construction <Loved it! a large amount of work? I am completely new to blogging however I do write in my diary daily. when i read this post i thought i could also create comment due to this good post. My blog is in the very same niche as yours and my users would definitely benefit from some of the information you present here.